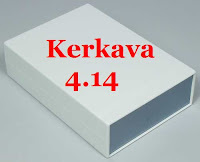 At just two days distance, a new version is arriving: Kerkava 4.14! Kerkava is a bot designed for Darkorbit that that was created to play in your palce in fight with enemies. So, with Kerkava 4.14 you can doing to the oppnents maximum damages in a short time. You cand get the latest version of Kerkava from here: Download!